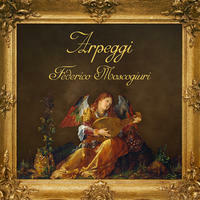 Federico Moscogiuri: Original and evocative lute music. 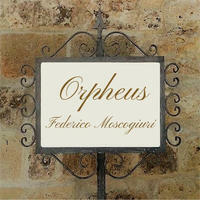 Federico Moscogiuri was born in Florence, Italy. Despite living much of his life away from his native country and eventually setting up home in the UK, he retained a strong connection with the city of his birth, developing a gradual but keen interest in its Renaissance past, including Renaissance music and the lute in particular. Soon after having the good fortune of finding an exceptional teacher in Manuel Minguillón, he began composing his own pieces. Through his music, Federico seeks to capture and give expression to a wide range of feelings, thoughts, reflections, sensations and memories from lived experience. A common theme in much of Federico's work is feelings and recollections from early childhood - the lost Eden of innocence, when sensations are at their most vivid. 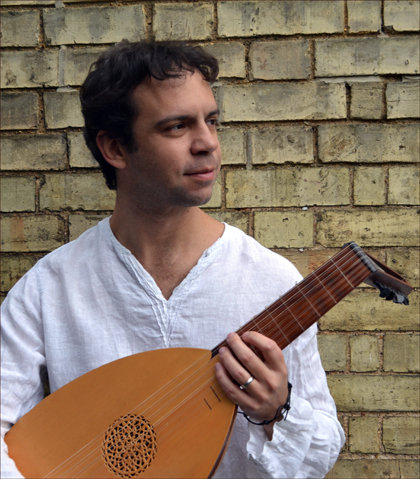 Federico lives in Hertford, UK, with his wife Kerry and their two boys, Luca and Raffaele, all of whom have provided inspiration for his music. Along with his music, Federico continues to pursue a full-time career in the voluntary sector in London. But look beyond the transient. But know that you are small. But also let theirs in. Federico Moscogiuri lives in Hertford, England. Tagged as: Classical, Renaissance, Neoclassical, Instrumental, Lute.